There are two books that finish a series of novels that could be in the Man Booker longlist when it comes out in a few day and thet are The end by Karl Ove Knausgaard, I read but never got around to reviewing this epic book and the end of his cycle of books. 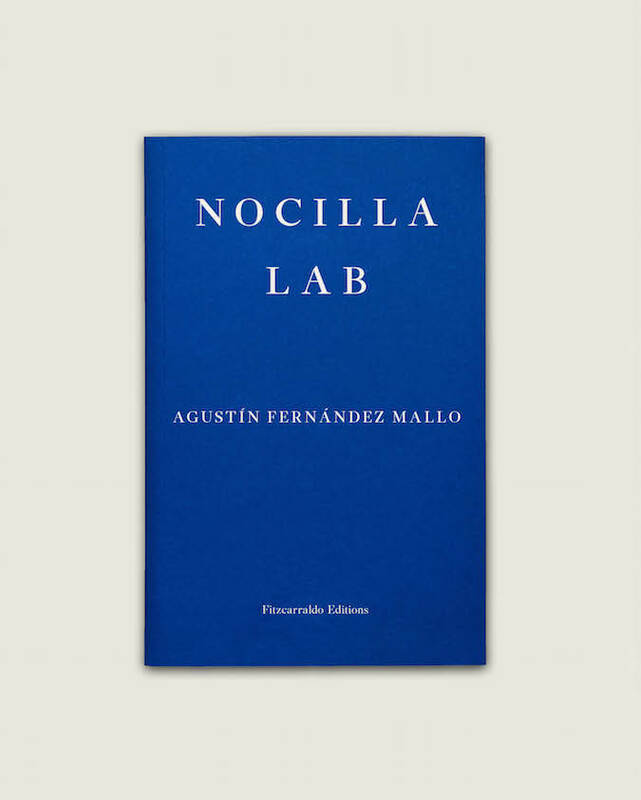 Here we have another the last in the Nocilla trilogy by the Physicist turned writer Agustin Fernandez Mallo. This is the last of his series that was herald as a new style of writing in Spain when the books came out and lead to him become part of the Nocilla generation. True story, very significant too, a man returns to the deserted city of Pripyat, near chernobyl, a place he and the reat of the poulace fled following the nuclear reactor disaster 5 years before, walks the empty streets, which, like the perfectly preserved buildings, take him back to his life in the city, his efforts as a construction worker here in the 1970’s were not for nothing, comes to his own street, scans the tower block for the windows of his former flat, surveying the exterior for a couple of seconds, 7 seconds,15 seconds, 1 minute, before turning the camera around so that his face is in the shot and saying, not sure, not sure this is where my flat was, the gazes up at the forest of windows again and says , not to the camera. The odd opening of the first story has a rrapid feel to the writer writing it as we read it. 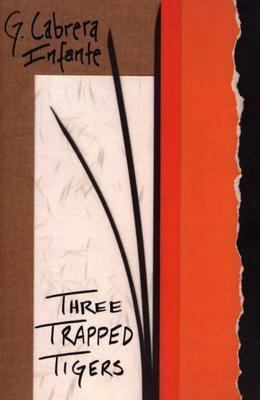 This book differs from its previous two books as it is less jumpy in its style what we have in this is three tales two novellas and a graphic novella if there is such a thing. What the first story is about a couple who are on a trip around the world the story is made up of little stories about their travels and the places they have been around the world until when they are in Thailand and the boyfriend crashes this is where we get this recounting of there travels mixed with books he has read especially Music of hance by Paul Auster where the main character Juliet spends a year traveling in her Saab but gets to pick up a man who leads her life down a different path and this is maybe what Mallo is trying to capture the book is a single eighty page sentence that captures the travels in the now although they were in the past and gave the writer time to write his trilogy the title of the collection is Automatic search engine which is maybe how Mallo’s mind works at time a series of jumps that rabbit hole of googling discovery and if you are sat recalling a trip the net would add the dimension it does here a sort of padding to the story . the next story follows a couple around Sardinia this tale is simpler as it is more on the mundane side of life those little everyday events. as the travels follow the project is this the same couple? The last part is a graphic novel where the writer himself is the main character. In the days that followed, without straying far from the area we’d been exploring, we returned the car and hired another, a slightly larger Lancia. I can’t remember the model. The weather stayed stormy, and once or rtwice we got caught on beaches. The second story as tyou see with this brief extract has a very different feel to the first story a simple mundane tale in a way. It is another interesting book from Mallo he has really tried to break the mold of what fiction is in a way he is like his science background experimenting with how stories work first here with a stream of words a Beckett like babble that comes together as a man tries to outpour what has happened to him I was reminded of the Beckett piece, not I, I have the sense it would work in the same way when reading at a speaking speed. The second is almost testing if you tried to make a story as mundane as possible with just every day a sort of modern take on the kitchen sink drama of the sixties where a trip to Sardina comes down to the everyday events of life. The last is an autofiction take on the graphic novel. This book isn’t as adventurous as the earlier two but in a way is maybe the most accessible of the series for that. I hope it makes the longlist for me this is the sort of fiction we should be championing the ones that make the reader work at times. Well, a change from German lit month for a book from one of my favourite Spanish writers of recent years. Javier Cercas has featured on the blog three times before. This is his latest book to be translated. He has won the Iffp prize in the past.Also has been the Impac Dublin book prize longlist a couple of times. This book is rather like his earlier book Anatomy of a moment as it uses an actual historical event as the start of the book. This is a look at one man Enric Marco. He was thought to be a champion of the Unions with a history of fighting fascism a survivor of the Nazi death camps and opposed Franco. On May 11 2005, the truth was discovered: Enric Mrco was an impostor. For the previous twenty-seven years Marco had claimed to be prisoner No. 6448 from German conce/ntration camp Flossenburg: He had lived this lie and had to made it live: for almost three decades, Marco gave hundreds of talks about his experiences of the Nazi regime, he was president of the Amical de Mauthausen, the association of Spanish survivors of Nazi camps, he was awarded notable honours and medals and on January 27 2005, he moved many members of both houses of the Spanish parliment to tears .. He spoke so well on what wasn’t his life but anothers . The book begins at the point when in 2005 He was unmasked as a fake.Cercas met him four years after that but it wasn’t until a few years later he decides to try and find the truth behind the man and his story. Marco is an enigma as the first part of the story shows called Onion skins like Gunter Grass whose biography is called Peeling the onion. We peel the layers away from the man and his story. The time Marco choose to invent his history is about write a time when people could still make up a past if they wanted. He is a man that wanted to be more than he was. He wanted to be a hero also a champion of the underdog. But as he rose in the public eye the lies he had told became harder to hide.He had been in a German Prison. He went to Germany as a worker not a prisoner from the republic. when he was in the civil war he went to France and was arrested as a criminal, not to a death camp.He rose to be the leader of the Spanish organisation for prisoners of the death camps and their families. it was just as they were to celebrate sixty years as the story of his deception broke he wasn’t in the camp he said he was and his story starts to unfold. Marco was born in an asylum ; his mother was insane.Is he mad too? is this his secret, the condrum that explains his personality? is this why he always sided with the majority ? Does this explain everything, or does it at least explain the essentials ? And if Marco truly is mad, what is thhe nature of his madness. Now, this is a great piece of narrative non-fiction like his earlier book Anatomy of a moment. Cercas has chosen a historic event to explore his own countries past, but this through one man’s journey.This book is around maybe at just the right time. We are so interested in real life tales with the podcast like S town and serial. There is a saying that truth is often stranger than fiction and Enric Marco is an example. He was bigger than Billy Liar. His story held up longer than the fake 9/11 victim that like Marco wanted to be held up as a hero and also fight for the victims. This is a study of what makes a man lie! Then the snowball effect of those lies, how when the ball is rolling it was hard to turn back time and stop it. Till like in Marcos case it is a final event that explodes his world open. As ever frank has brought a poetic tone to Cercas words. This is a tale of a man’s twisted journey he did good but is that enough for the lies? Marco is an enigma even after this I still not sure what to make of him. Here we have Another of the writers that were on the Granta list of the best 22 Spanish writers. Andres Barba has had another book translated into English. This is the first book by him, I have read. He has written ten novels.He has a number of prizes for his books. He also works as a translator doing the works of Joesph Conrad and Alice in Wonderland being among them. And what if , like her , Marina started to have fewer memories, hardly any memories,no mermories at all ? The doll is the only one she trusted as others lied. This is a very short novella clocking in at just 86 pages. It only arrived today and I took it with me when I went with Amanda to an appointment and read it whilst she was with the doctor in about an hour. It is the tale of Marina an orphan that has lost her mum and dad in a car crash, or as she keeps putting it .””My father died instantly and my mother in Hospital. The book opens as she is pulled from the crash. Awaking with a scar on her tum. Also, a number people talking to her trying to get her to open up. One way is to give her a doll. The doll she also gives the name Marina. She is then passed fit to leave the hospital and travel to the Orphanage.This is where the story moves into two narratives her the first Marina, then a collective voice of the fellow Orphans, as they greet Marina. The orphanage is a strange world to her all them in bright dresses and the same black shoes. The Orphans aren’t kind to her and we see Marina through their eyes as well as hers in a frightening look at being young and lost in a world of fellow lost souls.Also, the violent and horrific way kids can treat each other. When class was over we liked to play. We’d sing as the jump rope hit the sand with a dull crack. To get in the circle you had to pay attention, had to calculate the jump rope’s arc, its speed, adapt your rhythm to the chorus. Once you were in you felt exposed, tense, as if each time the rope cracked down, it hit your mouth, or your stomach. with each thump you went around the world. Another of the current crop of books, I have read from Spanish in recent years. That has a creepy surreal edge to the narrative two that spring to mind is The children and fever dream. Which both feature children and like this walk a line between real and surrealness. The Orphanage is where this story starts to turn a strange way. Although the way MArina talks at the time has a vacant feel about it as though her heart has been ripped out of her. The black and whiteness of the statement about her parents hang in the air when she says it. This in Lit terms is an Amuse Buche of a book. A book that sets you as a reader minds racing far beyond it mere 86 pages. Also have to say the cover is rather creepy to this book as well. Grant ask Richard and I if we were going to do another Spanish lit month and we said yes rather late the next two months will give everyone chance to take a few Spanish language translations off their TBR piles. Here are my choice first a book I have read but isn’t due out yet This Mexican novel follows Lucina a young Mexican writer, like most of her fellow writers she has come to New York. But a genetic condition means her eyes haemorrhage return home her life takes a turn. Next up is the three Spanish novels from Peter Owen as part of the world series Nona’s room is a collection of short stories, with a female perspective.Inventing love follows a man that receives a call when a lover has died, but he didn’t know the lover but decides to see where going to her home and funeral leads him. Wold moon follows four Republican rebels on the run during the civil war in the land they grew up in trying to stay alive. Then I have these three books, Camilo Jose Cela, I have read before, the hive is his most famous books and is a snapshot of the end of the civil war told through three hundred voices. 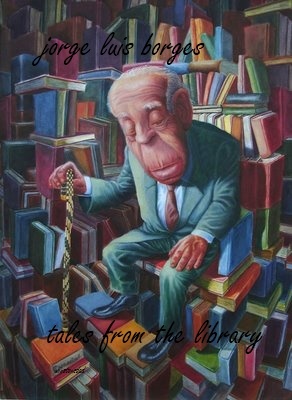 Rafael Dieste tales and inventions of Felix Muriel is a collection of quirky short stories about Felix growing up and those around him. Then it is amung strange victims by another talented Mexican writer Daniel Saldana Paris a novel set i the Mexican Capital. I have a few other books on my TBR pile to add to the five I have to read here. So what books are you choosing for Spanish Lit month ? Well I kick of this Spanish lit month with a new name to most English readers Juan Gomez Barcena. 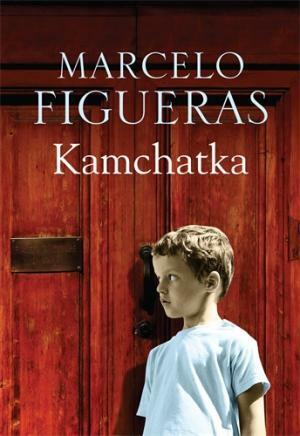 This was his debut novel it won the Ojo critico prize and was shortlisted for another major prize in Spain. He studied comparative literature , philosophy and History. He was also on a list of the best Spanish writer under thirty in Spain. At first it’s just a letter drafted many times: dearest friend, respected poet, most esteemed sir, a different opening for every sheet or paper that ends up in a crumpled ball under the desk, glory of Spanish literature, most distinguished Ramon Jimenez, peerless bard, comrade. 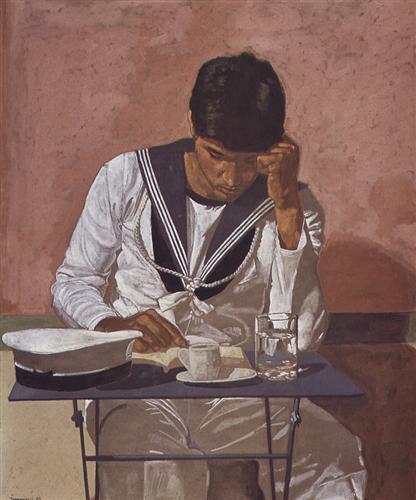 The next day the mulatta servant will sweep up the wads of paper scattered across the floor, thinking they’re the poems of the young master of the house, carlos rodriguez. The opening as they try as themselves to write to Jimenez before making up Georgina to write to him . This is one of those books that tells a real event in a novel form. The event surrounds the writing of letters to the Spanish poet Juan Ramon Jimenez from two fellow poets in Peru well in Lima. The two poets Jose and Carlos decide on a plan to get the latest work from Jimenez which has yet to reach the book shops of lima they write to him as a Peruvian lady called Georgina. what follows in the book is a series of letter between the two (well three in reality) as Jimenez falls for Gerogina and the world that is described Peru in 1904 a town changing through the eyes of a young woman makes Jimenez fall for the place and woman. A tale of love across the sea that inspired the poet to write some love poems about this woman.We see the two poets abandon their own poems to grab on to the coat tails of Jimenez and his poems. So he has to write about love. But what does he know about that?It could be that Carlos is more apprehensive about this than he initially seemed and we must attribute to him a second fear: the terror that the story of Juan Ramon and Georgina will ultimately reveal nothing more than how little his own life is worth.becasue all good fiction is rooted in genuine emotion, as the professor put it, which means that to write about love a novelist must look to his experiences, make use of everything he’s learned in a woman’s arms. Carlos wonders what the letters will be made of when it turns to love letters . An interesting and strange work to open this spanish lit month. It takes a corner of history and opens it up back to a time when a written word meant more letters were the way to keep in contact and people could fall in love over the written word . This is one for the fans of Bolano or Vila-Matas poets in a wild town of lima in the day remind me of Bolano world of poets in Mexico and the fact this was a true story some what Jimenez had exchange letters with a woman from Peru.Brought back memories of the way Vila-Matas uses places and the writers associated with them to place his stories in context.A fun debut novel that shows the power of the written word over men and the power books can have over other men as that is how the story started. 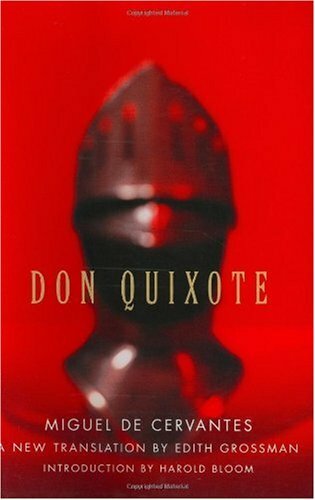 A wonderful opening gambit for this Spanish lit month. What have you planned for Spanish lit month ? The wordpress app told me at weekend it was seven years since winstonsdad started its trip around the world of Literature. In that time I have managed to review 635 books from 103 countries a real tour of the world . I miss the old days of blogging when it seemed new and fun but the recent move and a new library have spurred this old blogger on to carry on so we start off with the next spanish lit month which is next month. I have five books I plan to read one is reread. First up is two books due out from Harvil secker The first from a new star of Spanish Literature DIvorce is in the air by Gonzalo Torne one for the fans of Ferrante and Knausgaard says Harvil . Next is On the edge by Rafael Chirbes one of the great writers of recent times from Spain he won two of the biggest prizes in Spanish literature. Nocilla dream is the reread of the pile a wonderful odd collection of short snippets like a trail of photos with stories made up about them. I enjoyed it on the first read but felt a second reading would be worth it for this collection . Next up is Loquela by Carlos Labbe the chilean writer is compared to Borges and this is a warped love story and detective novel in one . One of those books that challenges the reader. 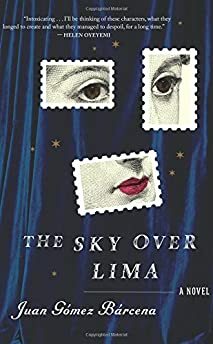 Lasr but not least is the won derfully witty Sky over lima which sees two writers in Chile write and start a love affair in letter with the famous Spanish poet Juan Ramon Jimenz .In what started as a plan to get his latest book early turns it a love in letters . Have you any plans for Spanish lit month ? How do you keep your blogging fresh after a number of years ? I was looking at some of the books that came out last year that may be on the man booker radar and this one I remember when it appeared last year seemed to get a number of good reviews in the papers and around the web so when I was in Sheffield earlier this week I decide to buy myself a copy to read. This is Ivan Repila second book in Spanish but his first to be translated to English. I can see why it may have been chosen as the first by him to be translated into english it has a certain universal nature to the story. A book that remind me so much of a Japanese film. To the north, the forest borders the mountain range and is surrounded by lakes so big they look like oceans. In the centre of the forest is a well. The well is roughly seven metres deep and its uneven walls are a bank of damp earth and roots, which tapers at the mouth and widens at the base like and empty pyramid with no tip. The impossible to get out of well they are in, these are the opening lines of the book . Small is so hungry that he can no longer control his body. He baulks, puts out his hand, into which Big places a colossal maggot, as juicy as a ripe apple. Finally he eats. He chews the gelatinous fibre of the maggot a dozen times and the bitter juice that oozes from it dances on his tongue. He drools like a hungry dog. It doesn’t taste of chicken: It’s better than chicken he bursts into tears like the little boy that he was. The feast goes on all night. This scene and a few others reming me of the film The grave of the fireflies, I also like the chicken line here! Replia has chosen two strange quotes at the start of the book one from Margaret Thatcher (why anyone would quote her is beside me ) About free trade and being rich and poor . The a Brecht quote from his poem To posterity about death and uprisings. I think we are meant to read Big and small as a wider story of survival in people and stripping the two lead characters of all identity barring their size has given this a fairy tale feel a timeless nature to the story. I was reminded of another Spanish novel I read last year Out in the Open another story of human suffering like the two boys in this book, maybe this is a modern take on a Spanish tradition that can be traced back to the books of Cela that take a look at the brutal nature of human life-like his book The family of Pascual Duarte life is brutal for some like big and small only one is destined to come through this ordeal. Teeth and books seem an odd pairing but my current Spanish lit month read is about Teeth and selling Teeeth the latest work by Valeria Luiselli the story of teeth . So here is a Quote I enjoyed . Our penulitimate lot , ladies and gentlemen , exludes an air of mystical melancholy . The tooth itself is crocodilian , but its aura is almost angelic . Note the curve , it os like a wing in ascent . It’s owner , Mr. Jorge Francisco Isidoro Luis Borges , was a man of average height . His short , thin legs supported a torso , which was at once solid and svelte .His head was the size of a small coconut , and his slender , flexiable neck . He was a pantheit . His eyes used to flit from side to side , useless , impenetrable to sunlight but ready to receive the light of beautiful , good ideas . He spoke slowy , as if searching for adjectives in the darkness . How much will you bid ? How much would you pay for Borges tooth ? Well I’m late announcing my Spanish Lit month announcement . Richard announced a few days ago we are doing it again this July for the third time . WE have choosen a short book as the group read . 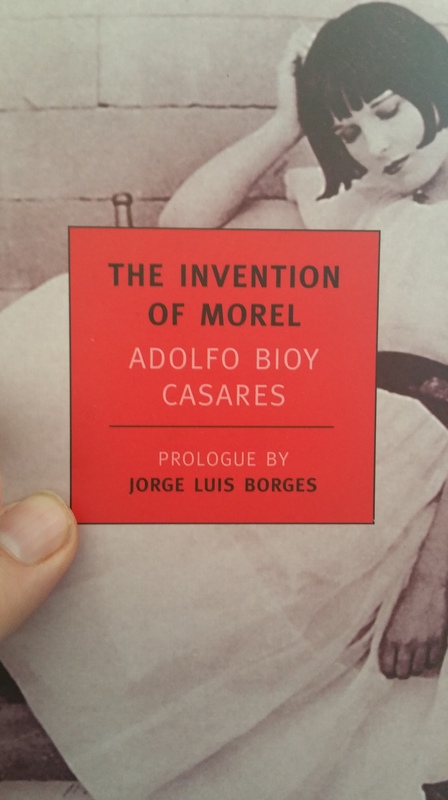 The invention of morel by Adolfo Bioy Casares a book by the great friend of Jorge Luis Borges . Well I ve chosen to reuse my first post for spanish lit month for this intro again I’m excited to see what books every one has chosen but if your still struggling for a book to read for Spanish language lit month ,I ve a few tips here to help my co host richard has done two posts of book lists .the first has 200 books that have been picked on various lists the second had a further list of 100 plus books from classic to the modern age from spain and latin america . This is the head water of all modern european fiction we may think use in the english speaking world got the ball rolling on the novel no its this book has it all ,meta fiction ,playful story lines ,History and oh the mad don and his faithful friend .2015 I will maybe reread this next spanish lit month in 2016 as that may be the time Terry Gillam has his film of it out or nearer being made . The cuban Ulysses the call it but actually it is very different it has a very cuban feel you can feel a jazz beat as your read about a day in Havana just before the revolution . 2015 A lost classic this one .I have another by him on the blog both worth trying . One of my favourite books of recent years ,the dirty war seen through a young boys eyes .It is touching and entertaining and with a believable child narrator .2015 still a hidden gem ! 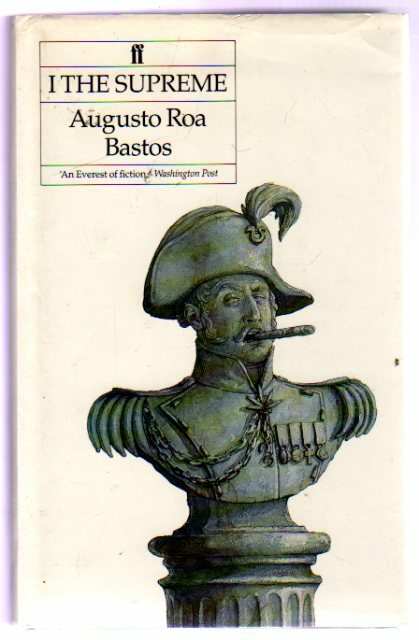 He is the wonderful master of spanish fiction I ve read a few but this only one since I ve blog a wonderfully wacky tale that maybe needs a wider audience . As does Juan he may win the Nobel one day soon and if you’ve not read him you’ll kick your self .2015 more exile tales to come this year from the same writer . Again I must start my Borges project , I have read a second Goytisolo for this year already the first of his best known trilogy marks of identity .I have Desire for chocolate by Care Santos a prize winning Spanish novel due out in August . Also a couple of books about the Peron years in Argentina . What books may you read next month . El Mundo the best 25 books from Spanish 1989 (thanks Arcadia books for link their Blind sunflowers is on the List ,plus two books by Juan Marse that Maclehose is publishing soon . Conversational reads has another list of 20 great books from Spanish . You can also find many books here from Spain ,Chile ,Argentina and many others in my books read section .